A fantastic selection of tracks from a time when reggae and punk were really crossing over on the UK scene – the earliest years of the punk rock movement, when bands like The Clash, Slits, and others were bringing the sounds of Jamaica into much greater mainstream circulation! 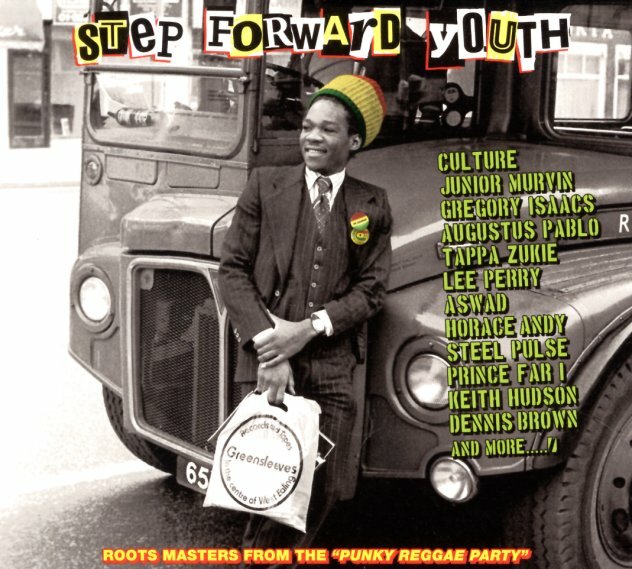 The cuts here aren't reggae punk – or punked-up reggae – but are instead the core tracks that influenced the late 70s UK generation – mostly roots reggae numbers from a few years before, whose politics and production really struck a chord with disenchanted youth in England! Don't worry about the package being too commercial, or too familiar – as the set list is a nicely deep dig, with all the right tracks – titles that include "Rebel" by Barry Ford Band, "The Barber Feel It" by Dr Alimantado & Jah Stitch, "Turn The Heater On" by Keith Hudson, "Pablo Meets Mr Bassie" by Agustus Pablo, "Jah Is I Guiding Star" by Tappa Zukie, "Guess Who's Coming To Dinner" by Michael Rose, "Cool Out Son" by Junior Murvin, "Roast Fish & Cornbread" by Lee Perry, "Mr Cop" by Gregory Isaacs, "Two Sevens Clash" by Culture, and "Heavy Manners" by Prince Far-I. © 1996-2019, Dusty Groove, Inc.